2) Place a couple of rags underneath to catch the coolant spill. Loosen the two hoses running to the IACV with your pliers by squeezing the two clips and moving them away from the end, circled in yellow. DO NOT cut the hoses as they are the exact length and you will have to buy new ones if you do. 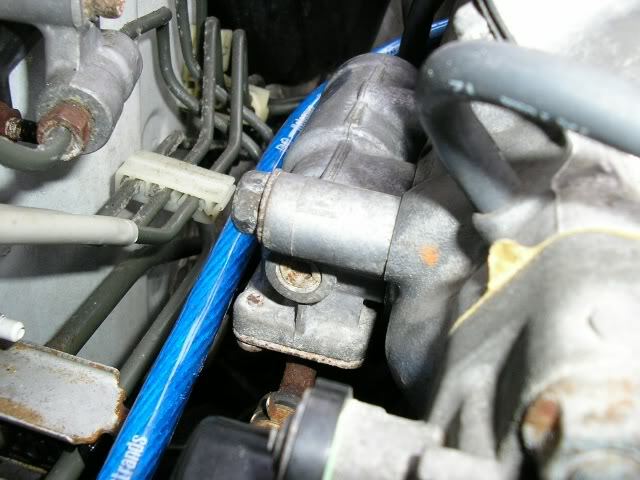 3) After doing that remove the harness connected to the IACV on the driver side, circle in blue. 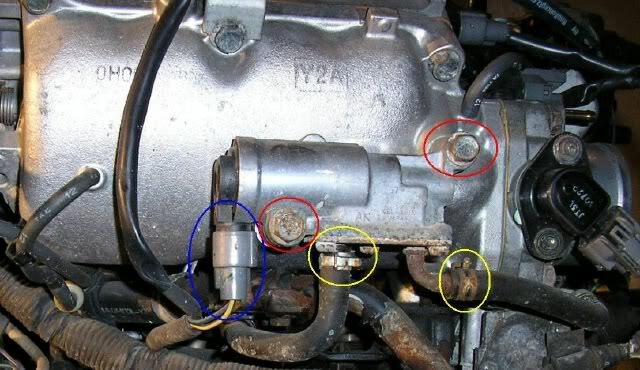 4) Then to finally remove it from the intake manifold, remove the two 12mm bolts, circled in red. Now that the IACV is removed from the intake manifold make sure that you do not lose the rubber gasket as you need this so that it does not leak after you re-install the IACV. 5) Take your brake cleaner or simple green and start to clean up the inside of the IACV by spray inside the two holes. Continue to do this until no more dirty fluid comes out. Should take anywhere from 5 minutes to 15 minutes. This depending on how old and dirty your IACV is. 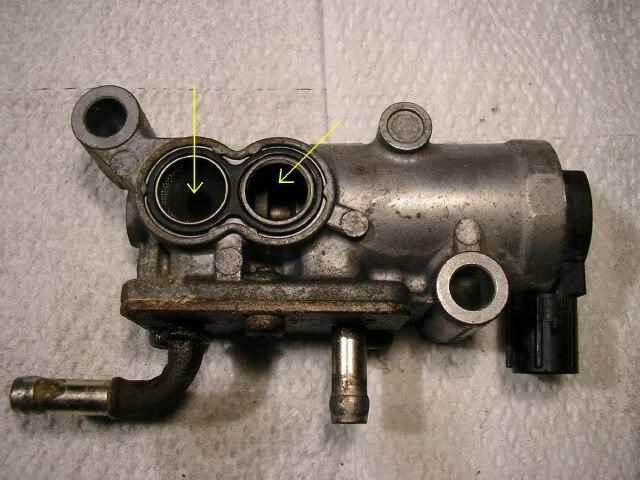 The gasket can be seen in this picture as well. 6) Once you’re done cleaning out the IACV let it air dry. I let it air out for 20 minutes while I did other maintenance on the car. Last edited by Diorel; 12-14-2010 at 09:47 PM. Good post member..Thank You for putting it in here for all to see. Possible to show the intake and strut tower bar?